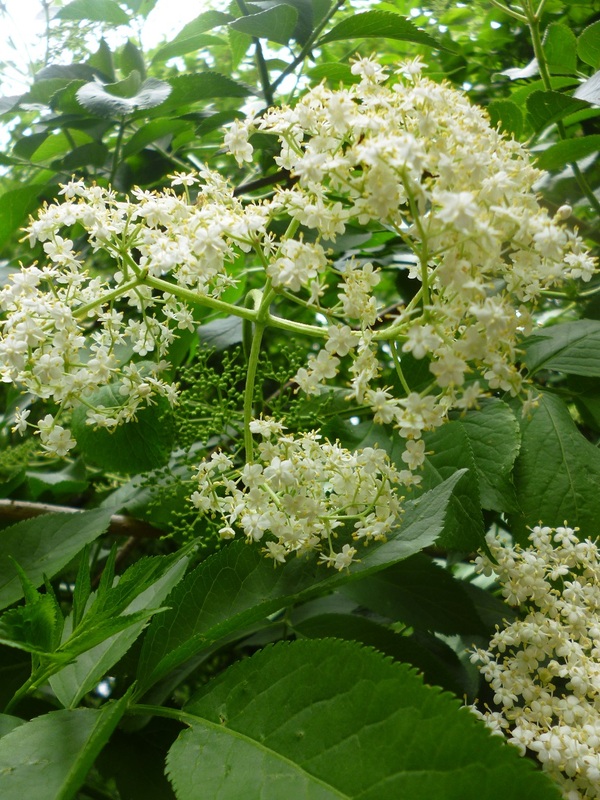 For any problems with elderflower champagne please see Andy’s other site. Boil the water and pour over the sugar to dissolve it. Cool and add the elderflowers, juice of two of the lemons, slices of the other two and the vinegar. Store in screw top plastic bottles (glass bottles may explode). For more recipes read Andy’s Book ‘Booze for free’. Hi, can you help? I made the cordial, fist time this year, near end school summer term, our flowers were late this year. I planned to leave it to for 5 days but my mum was rushed into hospital 200 miles away and I didn’t get home until today so it was left 12 days. My hubby did stir it daily, up to 4 days ago (he joined me) I was shocked to find mould spots floating on syrup surface. I have skimmed the surface today but am scared to use it, is it any good, would it be ok if I froze it maybe, or is it totally ruined? If no good as cordial is it possible to turn into anything else like wine, syrup etc? (I did add citric acid) HELP, does anyone have any ideas PLEASE??? I made elderflower cordial this year (with a different recipe) and the next day it had gloopy bit floating in its bottles! They have settled so it doesn’t look that bad but anyone else had this problem? So far, I’ve made elderflower fizz, cordial, ice-cream and just started on apple and elderflower cider. Last year made elderflower and grape wine, very potent and delicious as a spritzer! Sounds like it could be a bacterial infection. I’m surprised that it settled down, though? Usually it means they are done for! Elderflowers do go well with almost everything, I’ve been drinking beer infused with elderflowers – very nice. I’ve justmade 3 litres of Elderflower Cordial, the same as I did last year, didn’t freeze it or anything, just bottled it and used it as I went along, it took about 8 months to use all the bottles up and it was fine. I got a bit worried when I saw that everyone says to freeze it, no one had told me that, seems like I’m lucky I wasn’t ill.
I’m wondering now, what can I do with the left over orange,lemon amd elderflower heads, if anything, it seems a shame to throw them out? Only say freeze it as it can’t start to ferment, not always a bad thing! I made several litres of elderflower cordial in July of 2011, using a recipe similar to this one. All the bottles developed a cloudy suspension which looked almost like a cohesive blob. It never quite settled, just hung about in the bottle. However, when I opened my first stored bottle, the seal was still good, and it tasted fine- no off flavours or odors, no unpleasant effects. My best guess is that it’s pollen from the flowers. I boiled the strained cordial before bottling, and put it up in sterilized bottles while still hot. I’m still drinking it a year on, and no spoilage yet. I haven’t even refrigerated the opened bottles, just left them on the countertop. Perhaps it’s the citric acid? I have just made my first batch of elderflower champagne. Can any one tell me how alcoholic it is? Not so alcoholic to begin with and gets more and more the longer you leave it. Can I use a pillowslip to strain my elderflower champagne? Can I please ask a technical question? I’ve just tried to make some cordial from a different recipe in which you pour boiling water over the heads then strain and boil up with sugar. The result was brown and stinky! Do I need to take out all of the stalks? I’ve searched and searched and nobody explicity says that I should. Thanks!